I love the flavour of lemon because it gives the most amazing sharpness to both sweet and savoury foods, bringing out the best in the ingredients it is paired with. 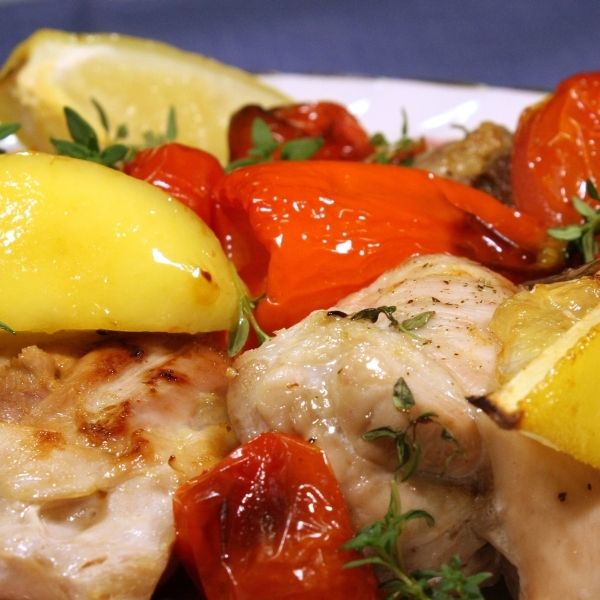 In this recipe a juicy lemon is sliced into wedges and then roasted with chicken, tomatoes, baby peppers and thyme until the chicken is tender and the lemon caramelised and bursting with tangy juices. Season the chicken generously with salt and pepper. 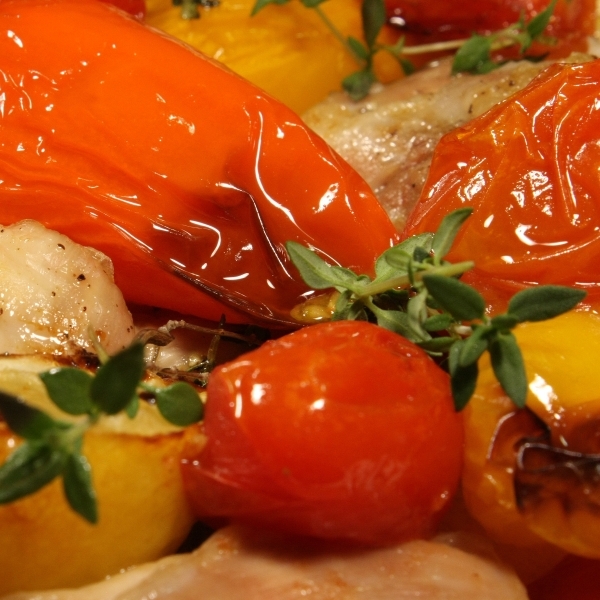 Place in a roasting pan with the tomatoes, lemon and peppers, Sprinkle over about a dozen sprigs of thyme and then drizzle with about 1 tablespoon of olive oil. 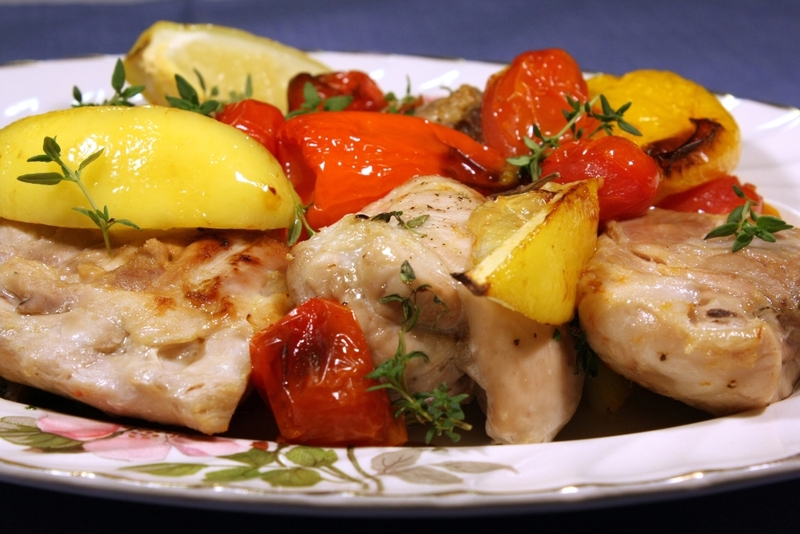 Bake in a 180 C oven for around 30 minutes, or until chicken is tender and lemons have nicely caramelised on the outside. Place on a large platter and scatter over a few more sprigs of thyme. Serve with a green salad and cous cous with herbs and green chilli.